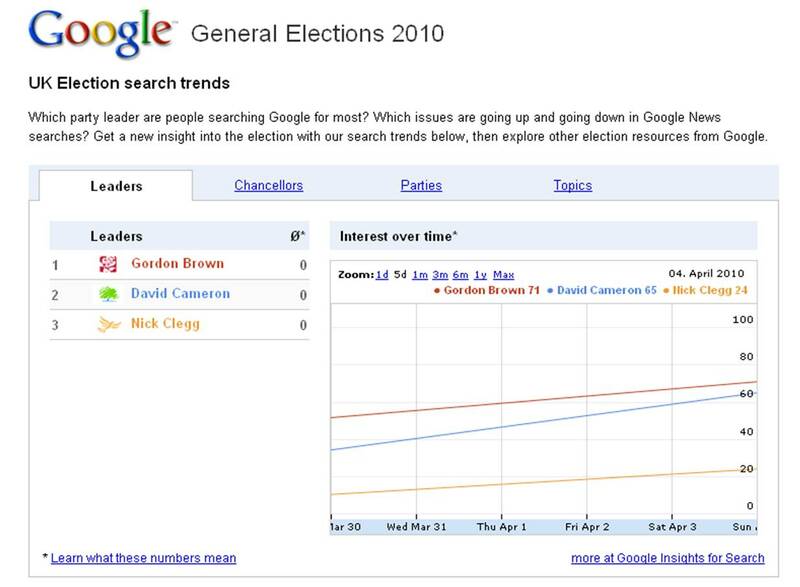 The 2010 UK general election campaign is well underway and at www.google.co.uk/elections2010 Google have launched a UK election hub that pools insights derived from Search behaviour. 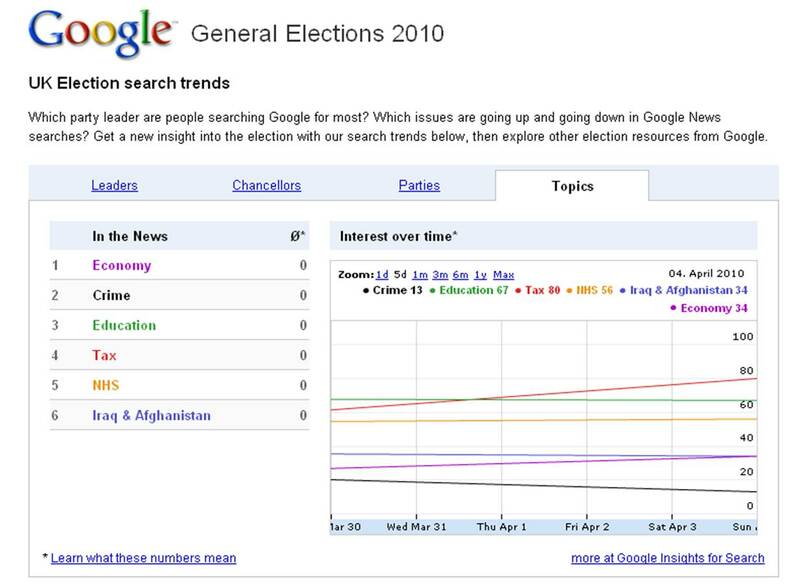 The next most searched for topic is Education, followed by the NHS, with joint fourth place going to the Economy and Iraq / Afghanistan. 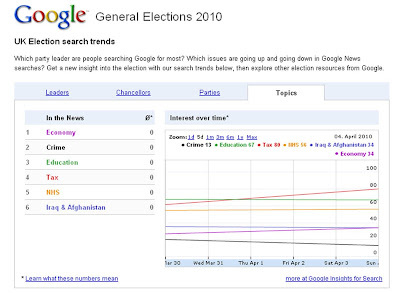 Crime is 6th on the list. 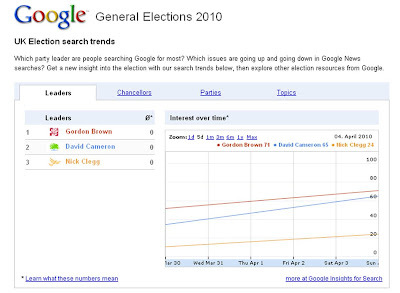 Following these Google Search trends will give interesting insight into how offline coverage and debate drives people to search out more information online - assuming John Prescott's click fraud campaign doesn't corrupt the data......!